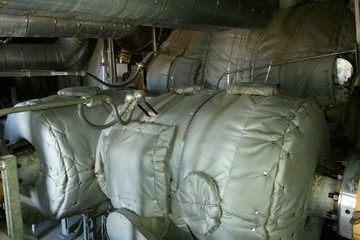 Argus made and applied three layers total 6″ thick removable insulation pads on the duel stop/control valve for the steam turbine at the Arizona Public Service (APS) West Phoenix Unit 5S. ©2018 IREX CONTRACTING GROUP. All rights reserved.